Corruption exposed. : Media fear mongering, as always. Media fear mongering, as always. Wednesday the 2nd of may (2012) marked the official one year anniversary of the death of Osama Bin Laden. And of course the media, in remembrance of the CIA official Osama, have marked the occasion with fake terrorist threats and fear mongering in preparation of the 2012 Olympics. Happily ignoring the fact that Mr CIA official Bin Laden has been dead since 2001. He died of natural causes in the care of a CIA hospital. The official story involves Osama Bin Laden's body being buried at sea within 24hours of his alleged death. The media pushes the idea that this was in keeping with the practice of the Islamic beliefs. Although of course it is a cover up. Bin Laden at sea. If Bin Laden had not been a CIA official, and had actually been an independent terrorist (rather than state owned terrorist) he would not have been shown such compassion as this. His body would have been brought back for a proper examination - with proof shown to the public that it was truly him. And he would have been made an example of. But of course, since Bin Laden died ten years earlier, it would have been pretty difficult to gain such proof and so a cover up was needed. But the 2011 lie of catching and murdering Bin Laden has definitely served its purpose, it has allowed the establishment controlled media to further install fear in to the minds of the masses, with a constant bombardment of terrorist threats. As well as restrictions of freedom. And not forgetting the extreme measures to attack, I mean protect the people, such as army bases and missile launchers. 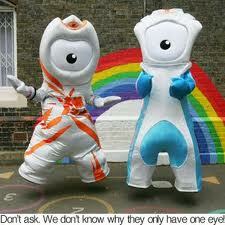 But rest assured, these means are for your own safety and will removed after the Olympics... Sounds like a very familiar lie, doesn't it?! The missile launchers will most definitely not be removed. They are just a starting point for the rest of the country. They will appear every way as an alleged safety measure after the establishment orchestrated terrorist attack on London. But instead of being there to protect us, they will be there to prevent us from defending ourselves from the people who actually want to kill us - the Zionist establishment! This article attempts to promote the idea of missile launchers being placed in London. If there is such a worry of terrorism, why allow the Olympics to take place if it is such an obvious or suspected target?! Since Bin Laden's 'official death', many threats of terrorism, and fake attempts have been carried out to scare the public in to further submitting their freedom - as well as to prepare us all for the establishments attack on the Olympics. This article refers to one such fake attempt: Establishment propaganda. It is possible that the alleged terrorist was also a part of the CIA. Or, perhaps they just decided to pick someone at random to further promote the growing war in innocent countries. 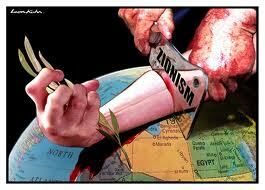 Remember this, to the people at the very top - Zionists - we are little more than insects that they will happily squash. No one knows who is at the top, because they have so many levels of servants working for them. To protect their identities they ensure that no one knows more than two levels above themselves. And this is the case in all forms of slavery these days, I mean employment. This fake terrorist attempt was also enough to justify full body scanners. Such an invasion of privacy should never be allowed. But since it is only their to protect you, why would you question it?! In reality however, it is only their to enslave you. To restrict your freedom and prevent you from ever protecting yourself from the establishment. It is not the first time the Zionist establishment have attempted to control and enslave us. In fact they have tried and failed at this countless times. Which is why this attempt involved a great deal of intellect and planning. Years of working towards their goal was involved, and the outcome?! They have us exactly where they want us. Many events in history led up to these people gaining control. And the only reason we are unaware of it is because we have swallowed all of the lies and the truth has been hidden and forgotten. They have taken such precautions this time, not only are we unaware of their plan to destroy us, but also we are completely at their mercy, unprepared and unable to protect ourselves from anything they do to us. 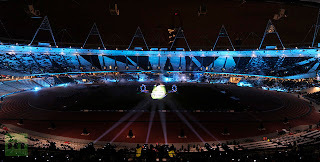 The London Olympics has been deliberately built on a radioactive site. And the establishment know this. The official lie is that this radioactive waste is low threat - this is just to convince us that it is no danger. However even low threat radioactive waste is extremely dangerous and will still harm us. It is the classic lie that low levels of poison are safe - are we really stupid enough to believe this?! Apparently so, because we also believe that microwaves are safe - microwaves radiate our food - in other words they make our food radioactive and kill any of the foods nutritional value, replacing it with cancer causing radiation. 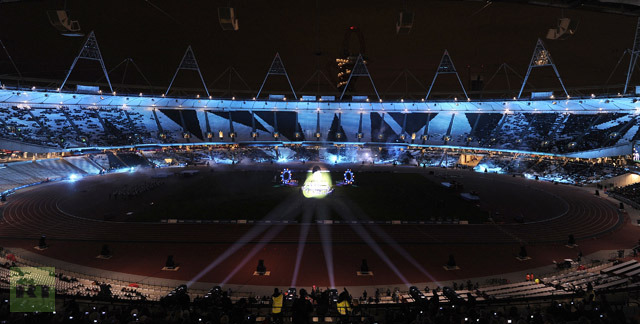 As seen in this image, the Olympic stadium consists of the typical Zionist symbolism, look at the lights - they are shaped as pyramids with the capstone missing/separated and the all seeing eye. This kind of symbolism can be seen all over England, and many other countries. It is a sign of their control over us. And is portrayed on most architecture these days. Once you learn what their symbolism looks like and means, you will begin to notice just how many buildings, films, money notes etc are used to show this symbolism. Look at this image carefully, what do you see you? 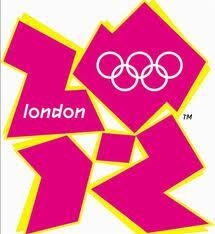 If like most people you simply see the 2012 London Olympics symbol, you need to look again. Do you see now? It spells out 'Zion'. And if you are daft enough to consider the dot a coincidence, think again. The dot only makes sense if it is meant to spell out the word Zion. And the symbol was not just designed by chance, and the dot was not a simply mistake - it was planned out and created as it was meant to be - to spell out 'Zion'. This is another example of the kind of symbolism they use. It all serves a purpose. We are influenced and affected by thing our conscious mind doesn't even notice. Because our unconscious/subconscious mind is aware of it. That is how brain washing affects us - by speaking to your subconscious they can hypnotise and control you - without your conscious mind ever realising it. Certain imagery, or words spoken will only reach us on a subconscious level - in order to speak to our subconscious they have to hide their meaning in plain site so as not to awaken our suspicious conscious mind. And if you think this is all a bit far fetched - think on. They have the means to brainwash/hypnotise masses of people all at the same time TV, media and the internet etc. And through many forms of manipulation, as well as psychological testing (creating psychological profiles - used to catch criminals) - we have volunteered our thoughts and information - providing them with adequate information to easily corrupt masses of people all at the same time. 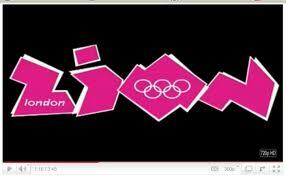 Let us look at another form of symbolism regarding the 2012 olympics. What do you see here?! The mascot on the left has on top of it, a pyramid with an eye. One of the very common forms of symbolism used by Zionists - it is the all seeing eye. Also the mascot on the left is a phalic symbol - which not only represents the corruption of innocent minds, but also it is the worship of Nimrod - also known as Baal the sun God. True meaning of Easter - Ishtar. Sun worship. Both mascots have only one eye - which is of course the all seeing eye - and is why many singers on their pictures have one eye covered, or one eye with a flash of lightning painted over it - to accentuate the one eye. It doesn't take much to see what is going on here. Research it for yourself and come to your own conclusion. Never accept the official media stories, or anything else to that effect. Question everything. For anyone who reads the news, or watches it for that matter - you will probably have noticed that we are being deliberately scared by the stories. And desensitised to the violence. The best way to create a subservient people is to scare them in to submission. And this is exactly what the establishment are doing. 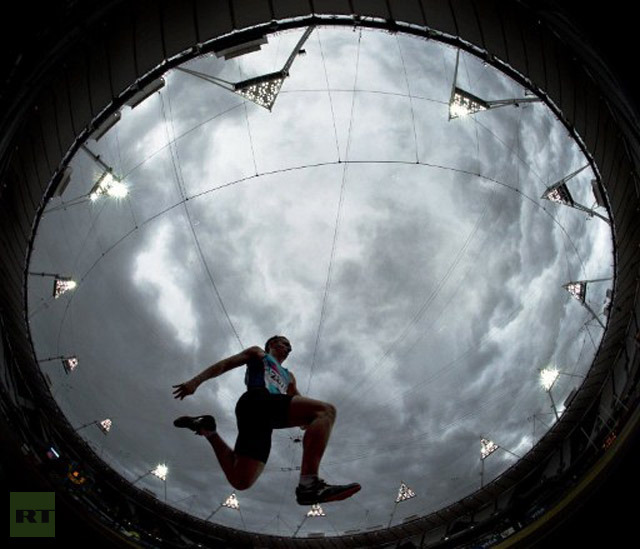 Please see my other articles on the Olympics, as well as my information on 9/11. And research it all for yourself. Questioning everything is not a negative thing, it is perfectly natural. We should question things. To mindlessly accept everything we are told is unnatural and very destructive.